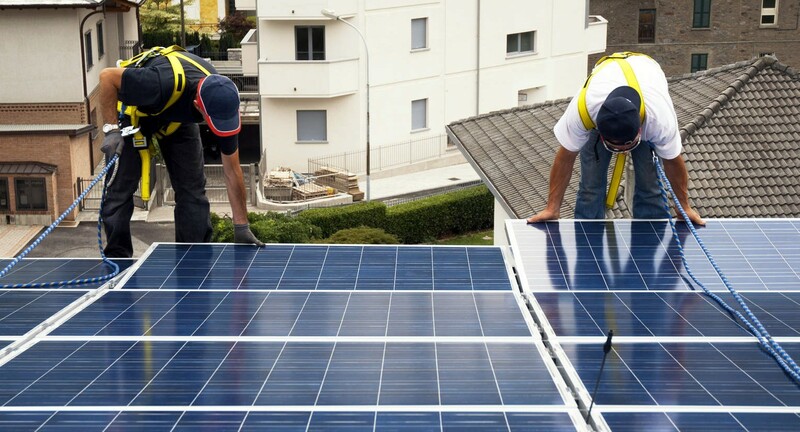 The solar energy industry is one of the fastest growing industries in the country. In 2014, the solar industry added workers at a rate nearly 20 times faster than the overall economy, accounting for 1.3% of all jobs created in the U.S. And, projections from the Solar Energy Industries Association suggest that solar PV installations will be nearly 24% higher than 2014. This is great news for those of us working for clean energy. But manufacturing processes for solar require energy, much of it from fossil fuels; consume large quantities of water; and emit greenhouse gases, some of which are man-made and have high climate change potential. And panels contain toxic materials, rare-earth elements mined in war-torn countries (or conflict minerals), or both. The continued growth in the solar PV industry makes it critical to act now to reduce the use of toxic chemicals, develop responsible recycling systems, and protect workers throughout global PV supply chains. The Solar Scorecard by The Silicon Valley Toxics Coalition (SVTC) is a terrific resource for consumers, institutional purchasers, investors, installers, and anyone who wants to purchase PV modules from responsible product stewards. It is based on SVTC’s annual survey of photovoltaic (PV) module manufacturers, as well as on prior survey responses, interviews, news stories, and publicly available data. Some of SVTC’s findings are interesting, and may surprise you. Of those surveyed (and the list is not comprehensive). two Chinese companies—Trina Solar and Yingli—and an American manufacturer, SunPower, were the highest-rated solar panel makers, scoring 92, 81, and 88, respectively, out of 100 possible points. Extended producer responsibility (EPR) to ensure safe and responsible disposal of panels. Emissions transparency with respect to reporting chemical emissions, including chemical waste, hazardous waste disposal, and/or heavy metals; air pollutants, including NOx, SOx, volatile organic compounds (VOCs) and particulate matter (PC); emissions of ozone depleting substances; and information regarding landfill disposal. Chemical reductions plan to reduce chemical use per module. Worker rights, health and safety practices. Supply chains, demonstrating an enforceable commitment from suppliers to protect workers and the environment. Does not use conflict materials. from the Democratic Republic of the Congo (DRC), Angola, Burundi, Central African Republic, Malawi, Republic of the Congo, Rwanda, South Sudan,Tanzania, Uganda, and Zambia per the due diligence guidance outlined by the OECD (Organization for Economic Co-operation and Development). Module toxicity (no more lead or cadmium than allowed under RoHS). High value recycling, where 95% of the PV module is recycled into products of similar value and quality. Forbidding use of prison labor. Protection of wildlife and biodiversity. Water use, including reducing amount of water used and minimizing impacts on water resources. Reporting of energy use and energy use and emissions of greenhouse gasses and perfluorocarbons, which have have very high global warming potentials (GWPs) relative to other greenhouse gases. Many PV companies want to produce truly clean and green energy systems and are taking steps to implement more sustainable and just practices. As consumers, we can help shape manufacturing practices that protect workers, communities, and our environment through education and our purchase power. Share this article and scorecard with colleagues, friends and family! Together we can help the solar industry live up to its full potential.